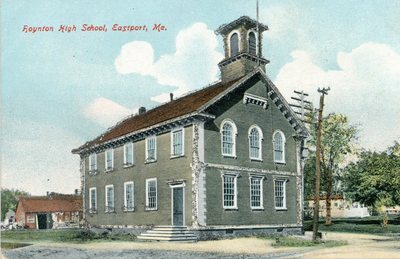 "Eastport, Maine, Boynton High School "
An image scanned from a color postcard depicting the Boynton High School in Eastport, Maine. Undated. Boynton High School was built on high Street in 1847 and serves presently as Eastport City Hall.